One fine day, I was browsing through the pages of my favorite local magazine Candy, when I came across the question "Who's the Hottest Boy On the Planet?" and obviously my mind, my heart and my soul suddenly turned into Nathan-mode. 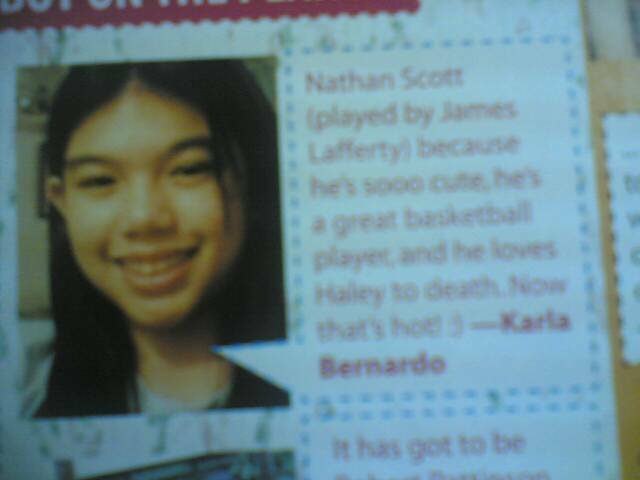 Of course, Nathan Scott is THE hottest (sizzling!) guy in the planet -- well in my planet, at least. 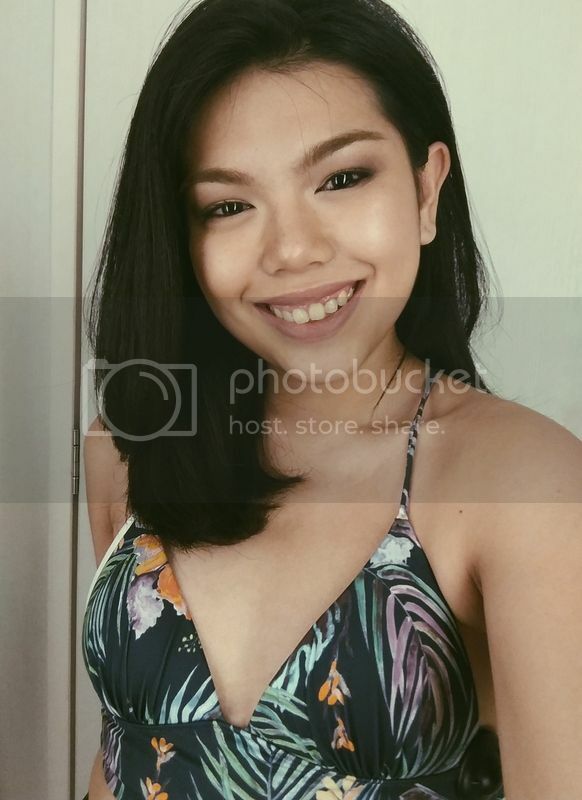 I immediately sent my entry and attached my photo and eventually forgot about it. I mean, seriously, I wasn't expecting it to be published or anything. Who's the hottest boy on the planet? There it is. May 2006 issue of the most popular teen magazine in the Philippines, my face and my answer was PUBLISHED. Yes. Published. Printed. On paper. For everyone to see. On page 74. So does this make me a published writer? Haha. As if. And now, I don't know if I'm supposed to feel happy or embarrassed with this whole thing. I mean, my face and my name staring at me on a magazine! Edi alam na ng buong mundo na adik ako kay Nathan!! =) Then again, why should I be ashamed?! I'm in LOOOOOVE with Nathan Scott! And the world needs to know that! =) I have the right to claim him to myself! I just wish I sent a much prettier photo. Hardy harhar! Next thing you know, I'll be the cover girl. Then a superstar. Haaayy. Kapal. Well just get yourself a copy (nyak, feeling artista!!) na lang. Oh! The crazy things one does for love. I love you, Nathan Scott!! Aah!! I cannot believe it! The ninth book hasn't even been released, and now the tenth one comes along! Wowness. Hail thee, Cecily Von Ziegesar. I can't wait!! Hmm..I wonder why that's the title. I smell controversy! Oh gosh. I know I love Gossip Girl. My mom's calling me na. PC time over. Ciao, ciao! =) Missed you guys! I just wanna be with her.."
man, it is so freakin' hot outside. oh, the tangled web we weave. due to insistent public demand..